South Africa are facing an injury crisis ahead of their AFCON 2019 qualifying match with Nigeria, which is scheduled for this weekend in Uyo. Bafana Bafana head into their first game of the qualifiers on Saturday with the possibility of being without up to seven of the 25 players originally invited by coach Baxter. Gençlerbirliği striker Tokelo Rantie, whose brace when the two countries met in Uyo on November 19, 2014, ensured South Africa qualified for the 2015 AFCON ahead of Nigeria, as well as Rivaldo Coetzee, are expected to undergo scans to ascertain the severity of their injuries. The pair, alongside Lebogang Manyama, Andile Jali, Tiyani Mabunda, Aubrey Ngoma, Rivaldo Coetzee and Eric Mathoho are being treated by the Bafana Bafana medical team- and they will have a late fitness test ahead of the match. •Goalkeepers: Itumeleng Khune, Ronwen Williams, Darren Keet. •Defenders: Ramahlwe Mphahlele, Rivaldo Coetzee, Thulani Hlatshwayo, Eric Mathoho, Lorenzo Gordinho, Abbubaker Mobara, Tebogo Langerman, Sifiso Hlanti. 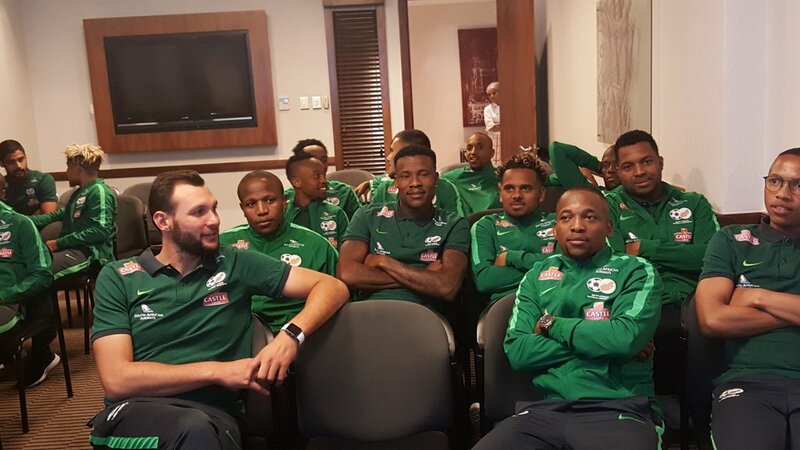 •Midfielders: Tiyani Mabunda, Keagan Dolly, Andile Jali, Kamohelo Mokotjo, Dean Furman, Themba Zwane, Bongani Zungu, Aubrey Ngoma. •Strikers: Sibusiso Vilakazi, Percy Tau, Lebogang Manyama, Tokelo Rantie, Thamsanqa Gabuza, Kermit Erasmus.